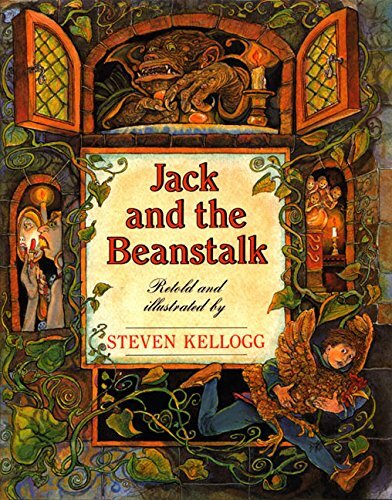 Here are the top 30 bestselling fairy tales, folk tales & myths books for 4 year olds. Please click Read Review to read book reviews on Amazon. You can also click Find in Library to check book availability at your local library. If the default library is not correct, please follow Change Local Library to reset it. On the eve of the very first Christmas, an old grandmother is busy tidying her home when a bright star illuminates the sky. Soon three wise men arrive and invite Babushka to join them in their travels—following the star in search of a newborn babe, the Prince of Peace. But there are dishes to be washed, and floors to be swept, and Babushka is too absorbed in her work to leave her home with presents for the baby Jesus. The next day, when Babushka tries to follow the men, she cannot find their tracks. Instead, she finds a little girl shivering in the cold, and a little boy, his tummy rumbling with hunger. Babushka walks and walks, and everywhere she goes she finds children in need of toys to play with or a shawl to keep them warm. And to each one, she offers a gift from her basket and a smile of light and love. With beautiful illustrations evoking folk art traditions and sensitive storytelling, Babushka tenderly reminds us that nothing is more important during the holiday season than taking the time to show love for one another. 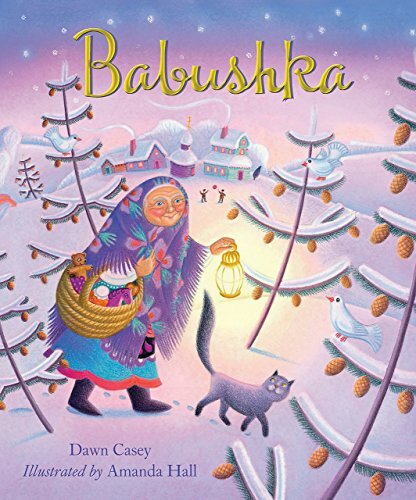 This timeless Russian tale will warm your heart and fill you up with the joyful, generous spirit of Christmas. It all began with a strange, mysterious correspondence left for authors Tony DiTerlizzi and Holly Black at a small New England bookstore. 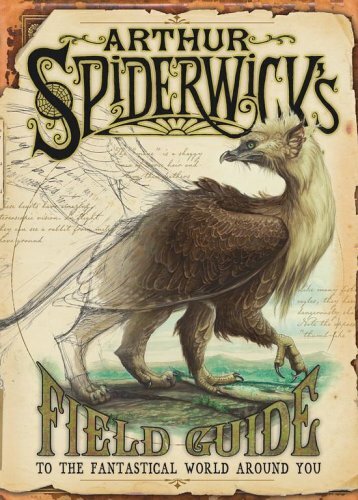 Written by three siblings, the letter told of their great-great-uncle Arthur Spiderwick and an unfinished tome filled with eyewitness accounts of creatures otherwise thought to be the stuff of legend. In the #1 New York Times bestselling serial the Spiderwick Chronicles, readers were enthralled by the account of the those siblings, Jared, Simon, and Mallory Grace, as they battled dwarves, goblins, elves, and a diabolical ogre in their efforts to hold on to their uncle Spiderwick,s life work. Now, through the combined efforts of the Grace children and authors Tony DiTerlizzi and Holly Black, Simon & Schuster is thrilled to present that work to you! Beginning with a thoughtful and informative introduction, progressing through six exhaustive sections featuring thirty-one faerie species, and culminating with an addendum that includes observations supplied by Jared Grace, this long-awaited compendium to the worldwide Spiderwick phenomenon delivers enough information to satisfy even the most demanding faerie enthusiast. Not only will readers learn the habits and habitats of the fourteen fantastical creatures featured in the New York Times, USA Today, and Publishers Weekly bestselling chapter books, but they will be delighted and astonished by an additional seventeen creatures. Also included are dozens of snippets from Arthur Spiderwick,s personal journal as well as cameos from a few series favorites. 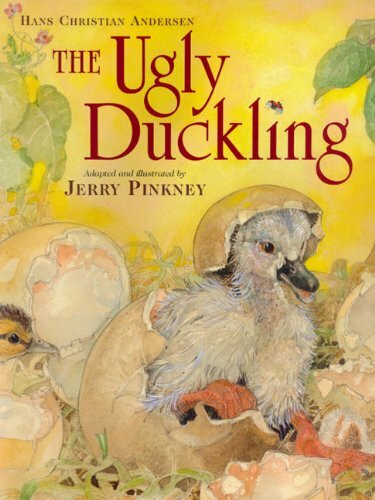 For over one hundred years The Ugly Duckling has been a childhood favorite, and Jerry Pinkney’s spectacular new adaptation brings it triumphantly to new generations of readers. With keen emotion and fresh vision, the acclaimed artist captures the essence of the tale’s timeless appeal: The journey of the awkward little bird — marching bravely through hecklers, hunters, and cruel seasons — is an unforgettable survival story; this blooming into a graceful swan is a reminder of the patience often necessary to discover true happiness. Splendid watercolors set in the lush countryside bring drama to life. 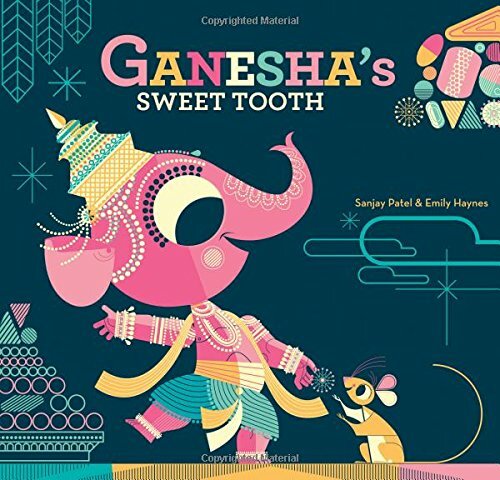 The bold, bright colors of India leap right off the page in this fresh and funny picture book retelling (with a twist) of how Ganesha came to help write the epic poem of Hindu literature, the Mahabharata. Ganesha is just like any other kid, except that he has the head of an elephant and rides around on a magical mouse. And he loves sweets, especially the traditional dessert laddoo. But when Ganesha insists on biting into a super jumbo jawbreaker laddoo, his tusk breaks off! Ganesha is terribly upset, but with the help of the wise poet Vyasa, and his friend Mr. Mouse, he learns that what seems broken can actually be quite useful after all. With vibrant, graphic illustrations, expressive characters, and offbeat humor, this is a wonderfully inventive rendition of a classic tale. Who was the largest baby ever born in the state of Maine? Who dug the Great Lakes? Who gouged out the Grand Canyon? 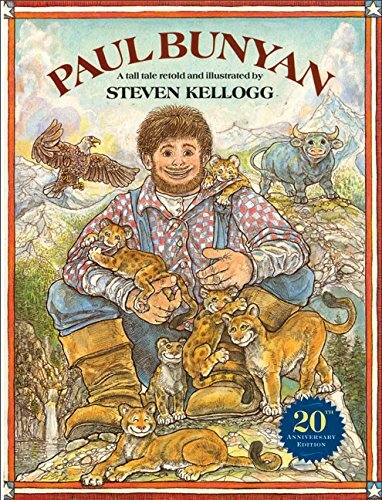 Why, Paul Bunyan, of course, America’s finest, fastest, funniest lumberman and favorite tall-tale hero. 11. What Does the Tooth Fairy Do With Our Teeth? What does the Tooth Fairy do with our teeth? What a great question! 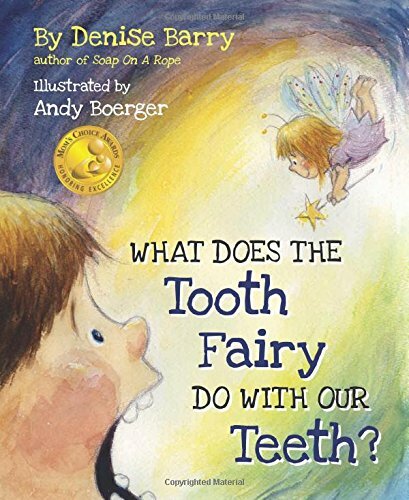 Take a peek inside the Tooth Fairy’s world where you will be amazed and delighted by all the fun, creative and magical ideas for what the Tooth Fairy might do with our teeth. You’ll never look at a star, the snow, or a chocolate chip cookie in the same way again! But be warned…your imagination is going to explode…with your own ideas! 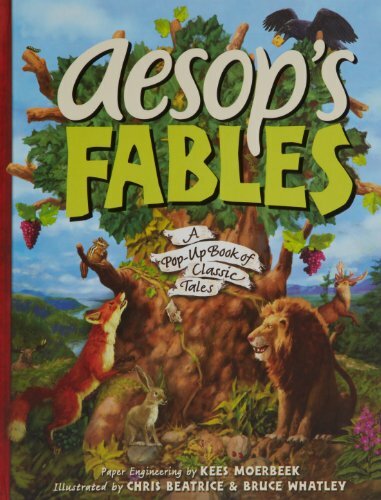 Aesop’s Fables leap off the page and into the minds and hearts of young readers in this dazzling pop-up collection of timeless tales. Favorite stories include “The Tortoise and the Hare,” “The Goose That Laid the Golden Egg,” “The Lion and the Mouse,” and seven others, vividly illustrated by Chris Beatrice and Bruce Whatley with expert paper engineering by Kees Moerbeek. 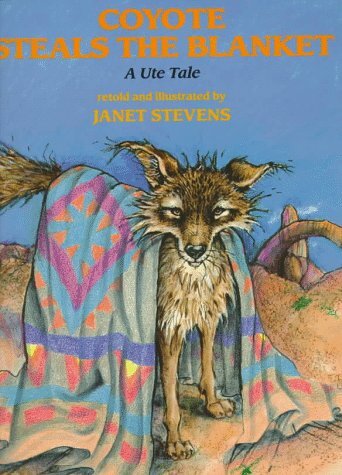 Always relevant and exceptionally entertaining, Aesop’s Fables should pop up on every family’s bookshelf. 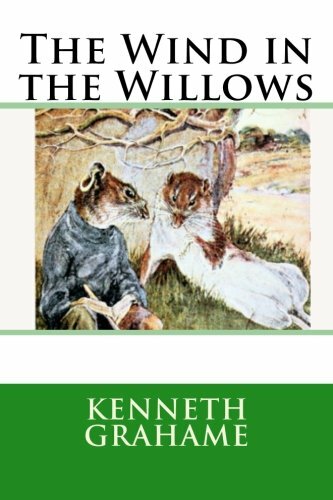 The Wind in the Willows is a children’s novel by Kenneth Grahame, first published in 1908. Alternately slow moving and fast paced, it focuses on four anthropomorphised animals in a pastoral version of England. The novel is notable for its mixture of mysticism, adventure, morality, and camaraderie and celebrated for its evocation of the nature of the Thames valley. In 1908 Grahame retired from his position as secretary of the Bank of England. He moved back to Cookham, Berkshire, where he had been brought up and spent his time by the River Thames doing much as the animal characters in his book do—namely, as one of the phrases from the book says, “simply messing about in boats”—and wrote down the bed-time stories he had been telling his son Alistair. 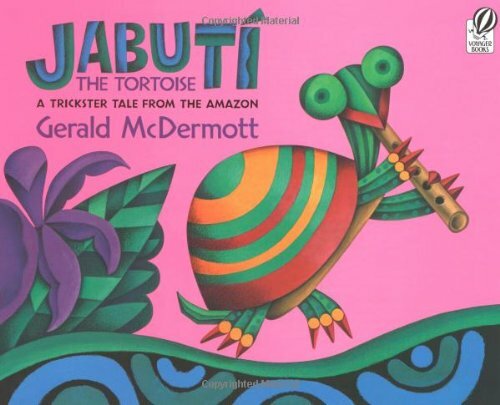 Of all the animals in the rain forest, Jabutí was the favorite. His shell was smooth and shiny, and the songs he played on his flute were sweet. But his music was a reminder, too, of the mischievous pranks Jabutí sometimes played. His song reminded Tapir of being tricked, Jaguar of being fooled, and time and again it reminded Vulture that he had no song at all. When a concert takes place in heaven, Vulture offers to fly Jabutí there . . . all the while plotting a trick of his own. 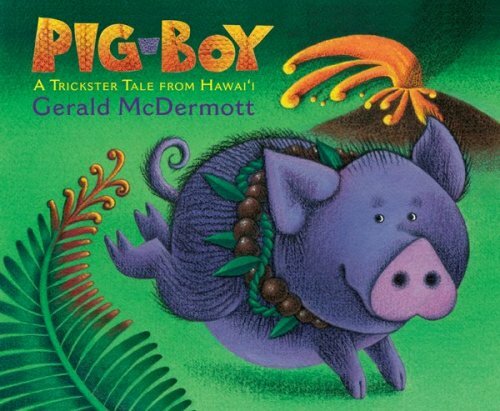 Gerald McDermott makes myths new again for readers of all ages, using language as vibrant and colorful as his bold illustrations. Jabutí is an unusual tale of a trickster’s fall from grace, and of how creation can sometimes come from chaos. 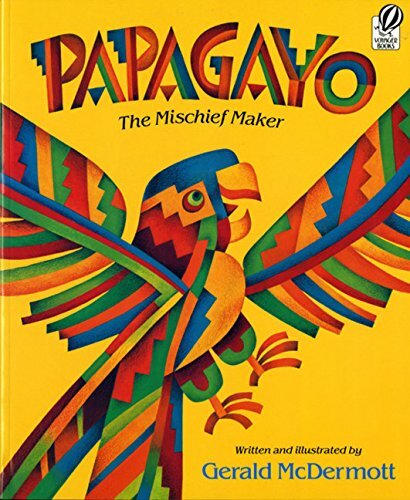 The mischievous parrot Papagayo spends his days playing in the jungle and disturbing the sleeping night creatures with his raucous cries. But when the ferocious moon-dog begins to devour the moon, only Papagayo knows how to save it. The night creatures learn that he’s a good friend to have–even if he is a bit NOISY. 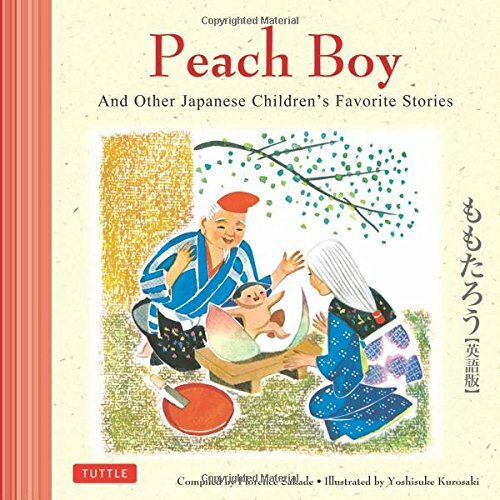 This colorfully illustrated multicultural children’s book presents several Japanese fairy tales and other folk stories—providing insight into a rich oral culture. Welcome to a fantastic world populated by magical teakettles, long-nosed goblins, brave warriors, and a host of other beloved characters who have lived on for centuries in the traditional tales of Japan. Drawn from Japanese folklore that has been passed down from generation to generation, the nine enchanting stories collected in this volume have been lovingly retold just for today’s readers. Vibrantly illustrated and full of thrilling adventures, funny discoveries and important lessons, they’re sure to become story time favorites. 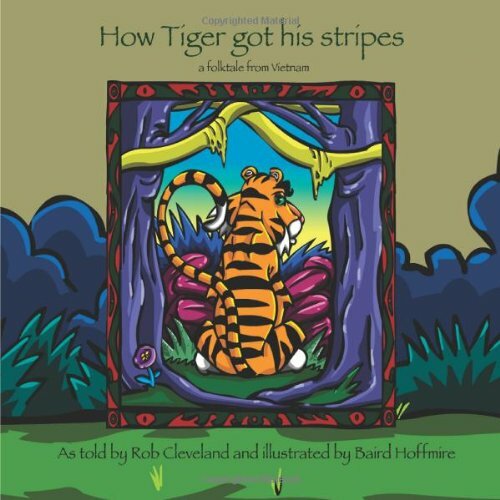 This humorous folktale from Vietnam, retold by Rob Cleveland, tells the story of Tiger, who was once the proudest animal of the jungle. He was even prouder than the peacock. Of course what Tiger was most proud of was his beautiful golden coat. But unfortunately for Tiger, he did not have wisdom and was jealous that only Man seemed to possess it. So Tiger approached Man and demanded that he give Tiger his wisdom. Man then uses his wisdom to outsmart Tiger when he finds himself tied to a tree with a rope. While trying to escape, Tiger burns his coat on the rope, leaving permanent stripes on his beautiful golden coat. 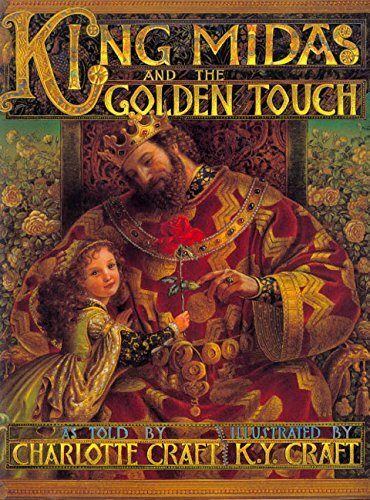 King Midas is a goodman, and he is adevoted father to hisdaughter, Aurelia. Yet Midasknows no music sweeter than therattling of golden coins, and themore gold he gathers, the morehe desires. When a mysteriousstranger offers to grant the kinga single wish as a reward for akindness, Midas does not hesi-tate: He wishes that all hetouches would turn to gold. Butall too soon, he learns that whatat first seems a blessing can alsobecome a curse. The legendary man with the magic touch comes alive as a remarkably complex figure in this breathtaking new vision of perhaps the most universal of all Greek myths. Kinuko Y. Craft’s radiant paintings glow with human drama, natural beauty, and golden splendor. King Midas is not a cruel man, but his passion for gold surpasses all else, save his love for his daughter. If only everything he touched would turn to gold! When Midas is granted that single wish, he rejoices — until he nearly loses his beloved child to his greed. 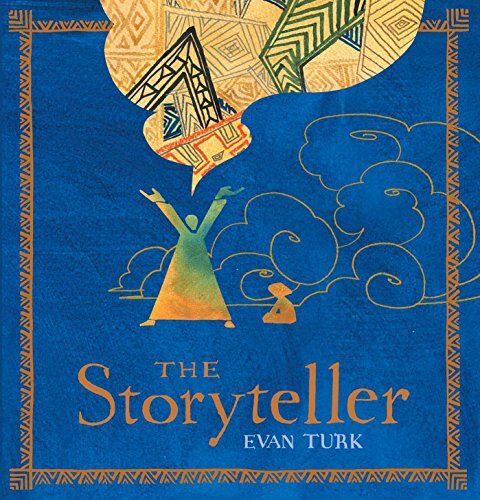 Here is a skillfully retold story of extraordinary resonance and wisdom, with a message no reader will soon forget. Radiant paintings glow with luxurious, golden, splendor. 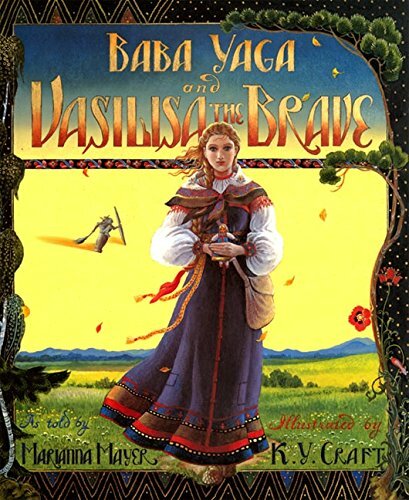 Sweet, lovely Vasilisa lives with her jealous stepmother and stepsisters on the edge of a dark forest inhabited by the evil witch Baba Yaga. One night the stepmother sends Vasilisa to visit Baba Yaga, an errand from which the gentle girl has little chance of returning alive. “An engaging text and accomplished paintings set this version apart….A stylized and classy offering.”–School Library Journal. 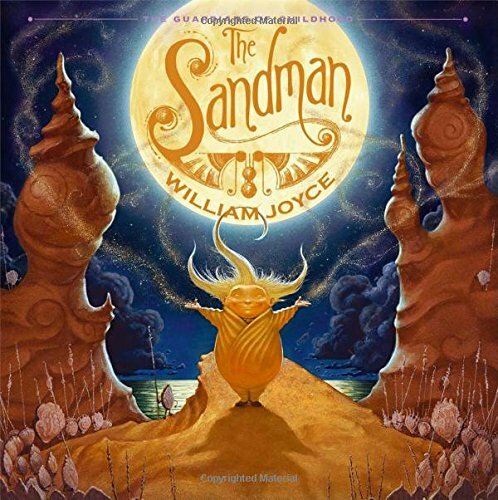 The second picture book in Academy Award winner William Joyce’s The Guardians of Childhood series, The Sandman tells the true story of the keeper of dreams. 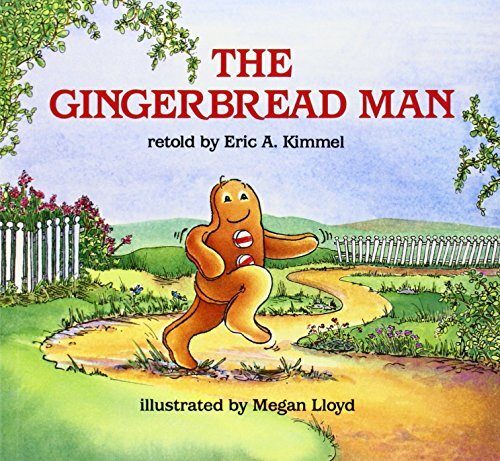 This follow-up to the New York Times bestselling The Man in the Moon, called “dazzlingly inventive” by Publishers Weekly, introduces us to the sleepy little fellow to whom we all owe many a good nights’ rest, the second Guardian of Childhood, the Sandman. 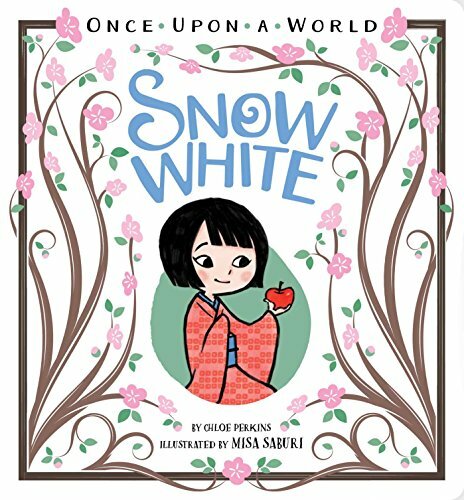 The classic story of Snow White gets a fresh twist in this vibrant Japanese spin on the beloved fairy tale! Carnegie Medalist Mal Peet and his wife, Elspeth Graham, team up for a captivating, lushly illustrated tale evoking a Chinese legend. Tashi lives in a tiny village at the foot of the mountains, below the tea plantations where her mother works. When her mother falls ill, Tashi goes alone to the plantation, hoping to earn money for the doctor. But she is far too small to harvest the tender shoots, and her clumsy efforts anger the cruel Overseer. She is desolate, until — chack-chack-chack! — something extraordinary happens. 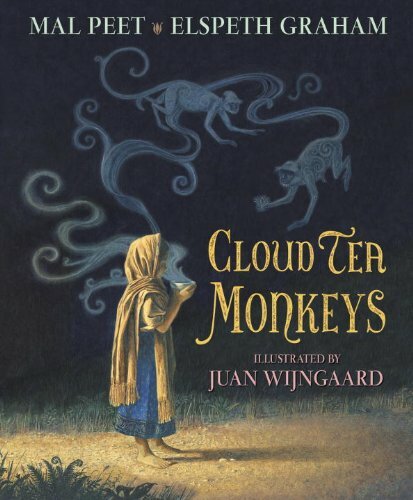 Inspired by a centuries-old legend of tea-picking monkeys, here is a richly told tale full of vivid characters: the heartless Overseer, the enigmatic Royal Tea Taster, and — far away — an empress with a penchant for tea. Full of beautiful, unique illustrations this multicultural childrens book is a collection of Japanese fairy tales and folk stories. Welcome to a fantastic world populated by lonely dragons, adventuresome boys, magical elves, and a host of other beloved characters who have lived on for centuries in the traditional tales of Japan. 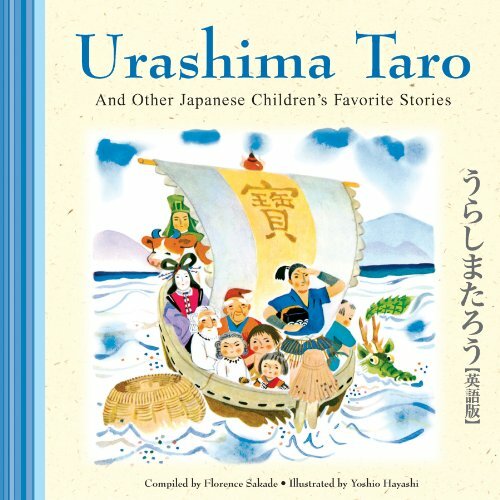 Drawn from folklore passed down from generation to generation, the ten enchanting Japanese children’s stories collected in this volume have been lovingly retold just for today’s readers. Vibrantly illustrated and full of thrilling adventures, funny discoveries, and important lessons, they’re sure to become story time favorites. 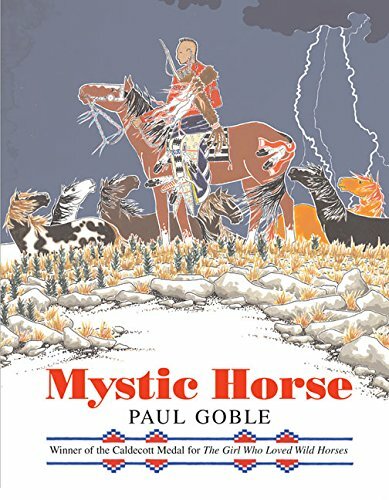 From the first brilliant rush of horses to the triumphant sight of beautiful bays, chestnuts, shiny blacks, whites, grays, and paints galloping across the pages, Paul Goble’s very special book will delight all who love horses and all who love stories that tell of the spiritual connection between people and animals. His magnificent, detailed paintings evoke an almost forgotten world as he recounts a stirring legend based on the oral tradition of the Pawnee. 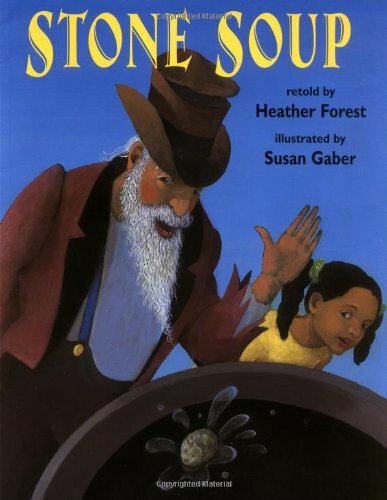 Focusing on a poor boy and his grandmother, adventure begins when the boy discovers an old, limping horse. Though ridiculed by his tribe, the boy cares for the horse and brings it back to health. In turn, the animal helps his friend achieve greatness, only to be betrayed. The boy’s remorse is sincere, but will he be forgiven? 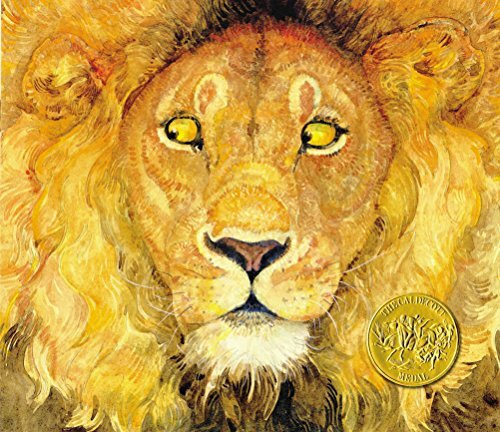 Captivating readers, Caldecott medalist Paul Goble shows how a loving friendship changes the lives of a people. With classic Chinese fairytales and folk stories, Grandma Panda’s China Storybook introduces children to Chinese culture in a fun, adventurous way! Grandma Panda is a wonderful teacher, a wonderful storyteller—and a wonderful cook! Her grandchildren Baobao and Lingling love staying with her every summer, because at Grandma Panda’s house each day is an adventure. This summer, with the help of celebrated novelist and artist Mingmei Yip, Grandma will take them to a world filled with Chinese calligraphy, kites, kung fu and more! They’ll get to hear Grandma’s stories of a time long ago in China, when everything began and learn simple Chinese language along the way. 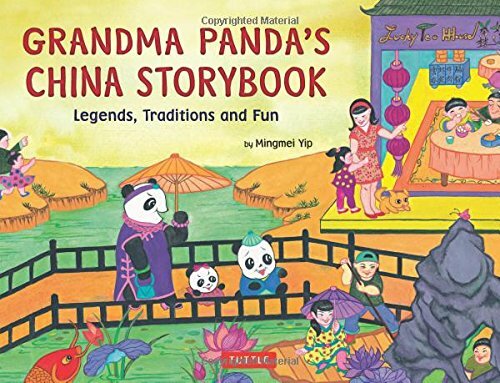 Come join Grandma Panda, Baobao and Lingling for a summer of fun and learning as bright watercolor illustrations make favorite legends come alive! Yum Yum, We Love Dim Sum!—Grandma and the children go to a restaurant to enjoy dim sum. Grandma explains what dim sum is and tells the legend of how it was invented. Grandma Panda Teaches Us Chinese Writing—Grandma shows the children how to mix ink and hold their brushes. She shows them characters in both their ancient and present forms and tells them the story of four-eyed Cang Jie. Dotting the Dragon’s Eyes—To explain the importance of paying attention to detail, Grandma tells the story of Zhang Sengyao. The Story of Mulan, the Brave Woman Warrior—Grandma tells the story of Mulan to teach the virtues of bravery, leadership, patriotism and determination. The Little Kungfu Warriors—The story of Mulan excites the little pandas into action, and they and grandma share a few moves. The Painted Faces of Chinese Opera—Grandma explains the meaning of the painted faces. Fun with Chinese Kites—Grandma takes the children kite flying and tells them the story of Luban the kite inventor. Clever coyote gets his comeuppance when he tries to steal. This delightfully illustrated multicultural children’s book presents Japanese fairy tales and other folk stories that children and parents alike will love. Welcome to a fantastic world populated by mischievous monkeys, a dragon king, and a host of other beloved characters who have lived on for centuries in the traditional tales of Japan. 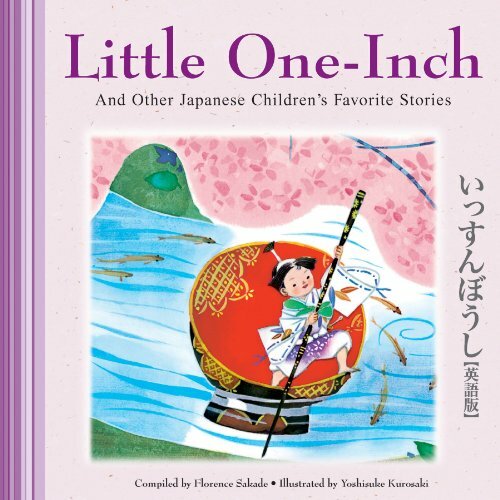 Drawn from Japanese folklore passed down from generation to generation, the ten enchanting stories collected in this volume have been lovingly retold for today’s readers. Vibrantly illustrated and full of thrilling adventure, funny discoveries, and important lessons, they’re sure to become story time favorites. 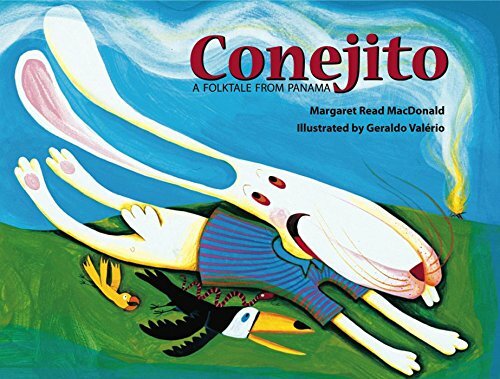 When Conejito begins his school holiday, he goes to visit his Tía Mónica?or is it the cakes and cookies he knows she will feed him when he arrives? But Conejito runs into a few obstacles on the way to his auntie’s, including Señor Zorro, Señor Tigre, and Señor León. Conejito may want to eat Auntie Mónica’s treats, but Mr. Fox, Mr. Tiger, and Mr. Lion want to eat him! With his own quick thinking and a little assist from Tía Mónica, Conejito outwits the bigger animals and makes his way safely home. 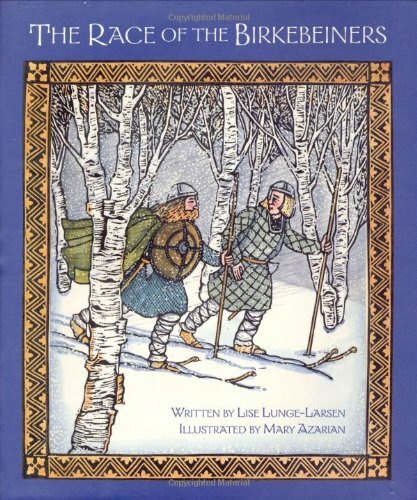 When they went into battle they wore no costly armor, just birchbark wrapped around their legs, and so they were called Birkebeiners, which means ?Birchleggers.” It is the year 1206, and deep in the snow-covered mountains and valleys of Norway the fiercest warriors in the land struggle to ski a baby to safety. They race against the greed and inequity of the rich, against the very weather of Norway. They race as the only way to save a child prince and bring peace to their country. Here is a true, untold story of both bravery and tenderness. Mary Azarian’s strong, sure woodcuts capture the warmth and ruggedness of medieval life, while Lise Lunge-Larsen’s dramatic telling is direct and mesmerizing.